Spend three nights in stunning Salzburg before embarking on your Avalon Suite Ship for your Active & Discovery cruise on the Danube River. You’ll arrive in Munich, Germany, and travel to Salzburg—birthplace of Mozart. 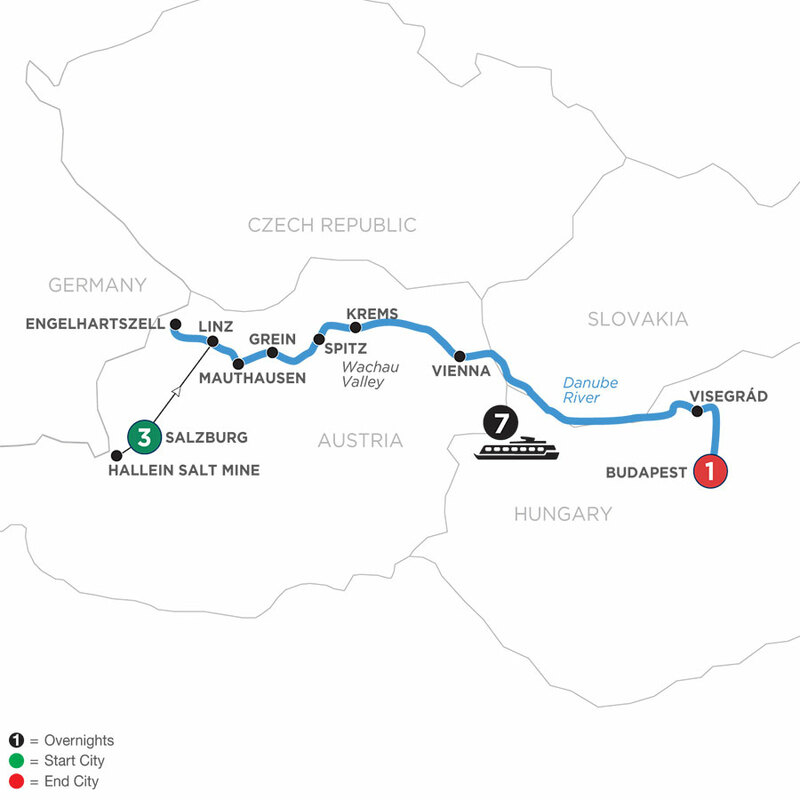 Here enjoy a guided visit of the Hallein Salt Mine. 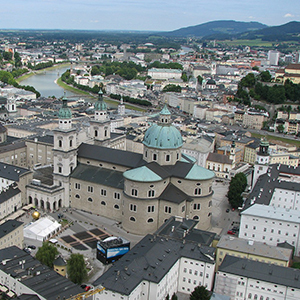 The following day, immerse yourself in Salzburg on a guided walking tour to see the beloved sights from “The Sound of Music,” the Old Town, and lovely Mirabell Gardens. Travel from Salzburg to Linz to embark on your Avalon Suite Ship for an unforgettable cruise on the Danube River to Budapest. Whether you’re an art lover, a foodie, a history buff, or an energetic adventurer, Avalon Choice includes experiences that are perfect for your preference and pace—from Active to Discovery to Classic. Your Active & Discovery cruise is packed with Avalon Choice inclusions for every pace in every place we go. Browse the art collection of the Habsburg Empire, sample cheese and beer made by Trappist monks, or choose an insider’s tour of Vienna. Attend a wine tasting in Krems or join a hike to Count Dracula’s prison tower, visit Belvedere Palace in Vienna to see Klimt’s renowned “Kiss,” or attend a Medieval Knights Tournament at a Visegrád castle. With Active & Discovery river cruises, the choice is always yours. Stroll the streets of Budapest on a classic sightseeing tour or take a bike ride through town for a different perspective, or learn a few local Hungarian phrases on a walking tour! Your Active & Discovery Danube River cruise can be as active or leisurely as you like!